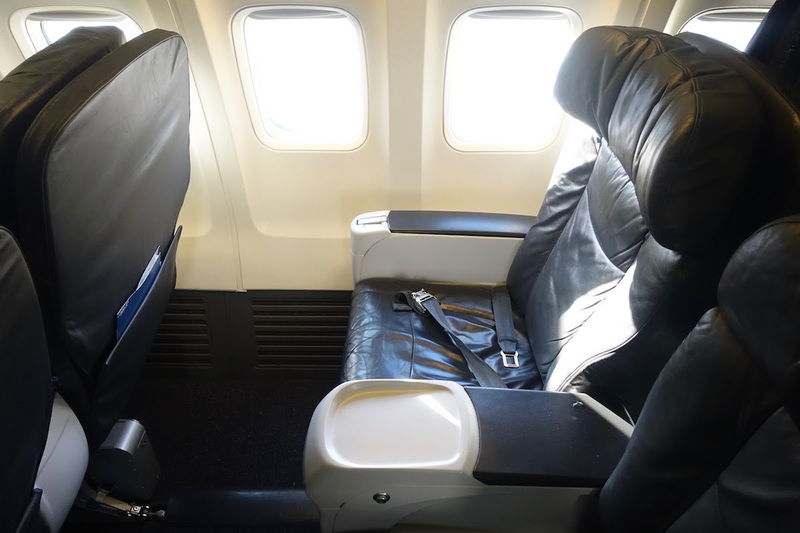 In late 2015, Alaska Airlines announced that they would be adding extra legroom seats to their planes. Specifically, Alaska was introducing Premium Class, which features extra legroom, complimentary drinks and snacks, etc. While that’s good news, there was another part to this announcement. Specifically, a majority of Alaska’s fleet would go from having 16 first class seats to having 12 first class seats. While they got rid of four first class seats, the existing seats would go from having 36″ of pitch to having 41″ of pitch. This means Alaska is going from having among the most limited seat pitch in domestic first class, to having among the most seat pitch in domestic first class. 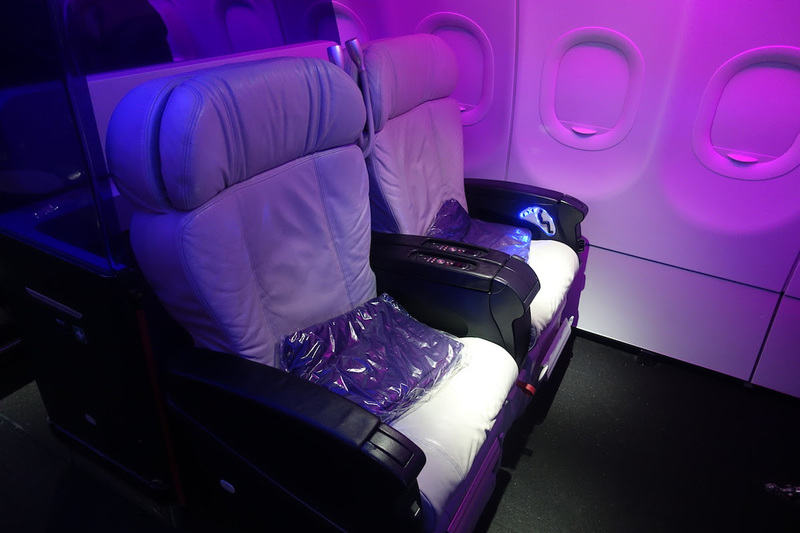 As we later learned, starting in late 2018, Virgin America will be eliminating their superior first class product, and instead aligning it with Alaska’s product. When this happens, Virgin America will go from having eight first class seats to having 12 first class seats. The seats will feature 41″ of pitch (rather than the current 55″), and “improved seatback storage pockets, cup holders, footrests, and personal power outlets throughout the cabin.” The only silver lining for Virgin America flyers is that they’ll introduce complimentary upgrades to first class when they reconfigure their planes, which they don’t presently offer. Yesterday for the first time I had the chance to fly Alaska’s “new” first class seats. I put new in parenthesis because the seats themselves aren’t new, but rather they just have improved spacing. So, how was Alaska’s new first class? Well, the 41″ pitch is really noticeable. The amount of legroom is impressive, and you can tell right away that there’s more legroom than on other airlines. The difference isn’t that massive, but it’s obvious. Alaska’s new first class seatPerhaps what I find most interesting is that they didn’t increase the seat recline when they spaced out these seats more. Alaska seats barely recline (which makes sense, since they used to have just 36″ of pitch). With the 41″ configuration, this is a blessing or a curse, depending on how you look at it. On one hand, with 36″ of pitch and decent recline, you could barely open your laptop screen, even in first class. The good news is that with 41″ of pitch you’ll never have issues with your laptop or feel claustrophobic when the person in front of you reclines. The person in the window seat can even potentially get out while you stay seated without it being too awkward. Alaska’s new first class seat legroomStill, the extra spacing sort of seems like a lost opportunity. 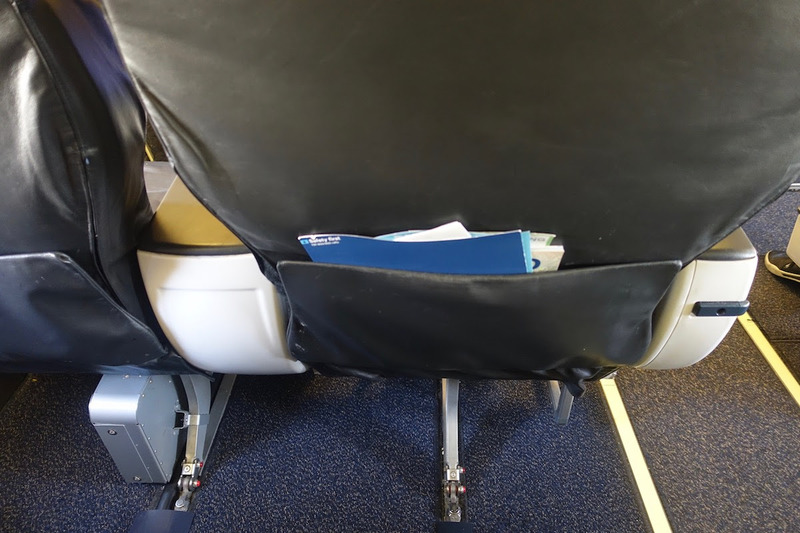 The seats aren’t spaced out enough to make a material difference in terms of the airline I’d choose, but at the same time the difference is somewhat noticeable. It’s certainly noticeable in comparison to Alaska’s old cabins (among the tightest out there in first class), though it doesn’t stand out that much compared to some of their competitors. For example, American’s 737s (with the exception of their 737 MAX aircraft) feature just slightly less legroom. Ultimately I guess they made this decision because they realized they couldn’t realistically squeeze in another row, so they figured they might as well make the product a bit better. So while it’s pretty no frills, Alaska now definitely does offer industry leading seat pitch in first class. If you’ve flown Alaska’s roomier first class product, what was your experience like?